For over 30 years, contributors have shared personal stories and anecdotes about how much they love the music we broadcast at All Classical Portland. It has brought happiness, calm, comfort and united friends in celebration. foster integrity, quality and innovation in all that we do. offer diverse areas of involvement for our dedicated volunteers and interns. Now, close your eyes and imagine what All Classical Portland can provide for future generations. What do you envision? In order to creatively and effectively plan for programming and community engagement down the road, we rely on the financial foresight of our listeners. Please consider being one of our Future Founders by including All Classical Portland in your will, trust and stock distribution. As with musical notes, there are a number of different planned gifts that can fall within a measure. So, please call me today to discuss options on how you can help keep the music experienced for generations to come. All gifts are major to us and genuinely appreciated! One of the most satisfying things you will be able to do by taking time to plan your estate is to make decisions to benefit some of the worthy institutions and organizations you have been supporting. In fact, many of the most significant gifts that nonprofits receive come from the estates of regular contributors who decide to share a portion of their accumulated assets later on, after taking care of family and friends. All Classical Portland’s long-term stability is based on solid planning, which will ensure that we are here in the future to serve Northwest Oregon and Southwest Washington. 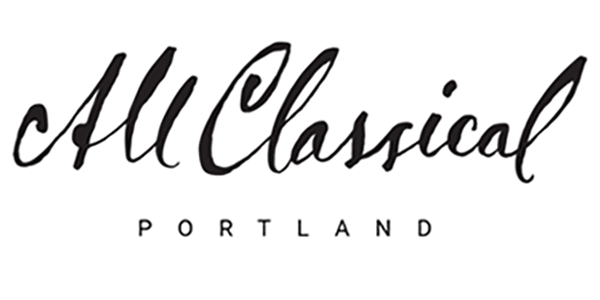 Your thoughtful choice to include All Classical Portland in your estate plans would go a long way toward helping make this future a reality. You may choose to give a percentage of your estate, or all or part of the residue that is left over after all other bequests are made. Specific sums and other property are also welcome. You may decide to have your bequest support annual operating or you may decide to have it become a gift in perpetuity within our Endowment Fund managed for us by the Oregon Community Foundation in Portland. This is a way you can make a lasting contribution without affecting your current financial security and freedom. Naming All Classical Public Media, Inc. (tax exempt ID 93-1042868) in your will or Living Trust is an easy way to make a timeless gift. You may choose to leave a specific amount of cash, securities, or other assets; a percentage of your total estate; or the residual assets after other commitments have been fulfilled. A legal document in which a person states who should receive his or her possessions after he or she dies. Yes. Every adult can and should leave instructions as to what will become of his or her property. In the absence of these instructions, state laws take over and your property may be distributed to distant relatives, or, if none are found, possibly to the state itself. Your will may be just fine as it is, but many people find that changes in circumstances may affect their plans. Marriages, births, deaths, divorces and other changes, such as moving to another state, are all good reasons for reviewing your plans. If your previous beneficiary wishes have changed, you may want to update your plans. And if you would like to leave part of your legacy to worthy causes and institutions, including All Classical Portland, this may be the time to take action. Unless you choose to share it, it will remain private. Wills generally become part of the public record available from the court after death. Trusts, on the other hand, can remain confidential. If you choose to remember us in your plans, we welcome your letting us know so we may say “thank you!” If you prefer, we will keep the fact of your bequest intention confidential. We understand fully if you prefer not to share specific amounts or if you have no way of knowing what might be left over for your charitable gifts. Possessions, Property; the assets and liabilities left by a person at death. If you take time to record all of the property you own, you may be surprised to see that it begins to add up. And, if you have particular items that you would like to go to certain individuals, your will can help. Regardless of the size of your estate, you can benefit by taking the time to see an attorney and have a simple will drafted. When considering leaving a gift of real estate, please review, complete and return the following documents. It is difficult for All Classical Portland to accept works of art, furnishings, antiquities (and the like) as we are broadcasters, not dealers in art. However, decisions are made on a case by case basis with the donor. A relationship between parties in which one, the trustee or fiduciary, has the power to manage property, and the other, the beneficiary, has the privilege of receiving the benefits from that property. A trust that becomes effective during the lifetime of the settlor —called also inter vivos trust. Revocable: You can make changes or revoke the trust at any time. Irrevocable: After the assets are given away, you no longer have control. Split-interest charitable gifts provide you and loved ones with a secure income stream for your lifetime or for a specific number of years, an income tax deduction in the year of the gift, and other tax benefits. Charitable Remainder Trust: An Irrevocable trust that generates a potential income stream for you or your beneficiates, with the remainder of the donated assets eventually going to one or more nonprofit organizations you select. Charitable Gift Annuities: A contract with a nonprofit organization, in which you provide a gift and, in exchange, the nonprofit guarantees you income for life. There are many ways to plan special gifts for All Classical Portland Public Media and your other charitable interests; a bequest through your will is just one. Whatever your plans may be, we encourage you to call or write for more information, without obligation. Note: All Classical Portland cannot render legal or tax advice. The services of an attorney or other professional advisor should be obtained.